The Armando Martins Campaign began when UK Channel 5 Broadcast Series 5 Episode 8 of Nightmare Neighbours Next Door in Early November 2016. Armando is in his late seventies and a hobbyist with a lifelong passion for radio, who worked as a radio engineer and also a long distance driver, He is also a licensed Radio Amateur who volunteers to work at a local school and contributes to community activities teaching others about the hobby and its value. His experience in radio spans fifty years. In 2012 he moved into a sheltered accommodation complex in Herne Bay, managed by East Kent Housing (EKH) for his local council – Canterbury City Council. 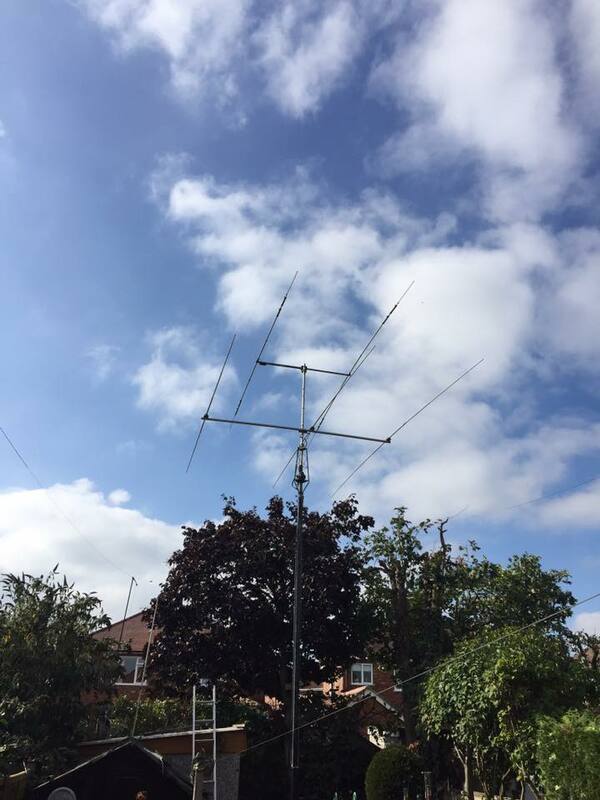 The Thornhurst complex, houses a number of vulnerable people, and he gave up a two storey house, where he had unwritten permission from the council planning department to use a 30 foot tall telescopic antenna system to support his hobby. As far as they were concerned at the time, it did not meet the criteria for planning permission. The house he was living in was needed for another family, and Armando and his wife both needed single accommodation for medical reasons. They agreed to move together into single accommodation units within the Thornhurst Sheltered Accommodation Complex in Herne Bay. To facilitate his move, he was given written permission to use the same telescopic radio antenna in the Thornhurst complex, it could be retracted when not in use. On those grounds and in writing, he agreed to move. They lived together there for a short period until the attitude of the other residents turned hostile first towards his wife. There were racial comments, slurs about her disability and other comments being passed while she was in earshot. It wasn’t long before this hassle turned her against Armando’s hobby and because of the focus of the anti-social mob, on her and its impact she asked to be moved somewhere else. Shortly after moving in, there was a clash with his new next door neighbour and they both became subject to the toxic anti social behaviour. This could have been avoided by the intervention of staff especially those making the promises. He asked them to resolve issues. As he was forced to take action himself, the clash resulted in him being singled out for special treatment. 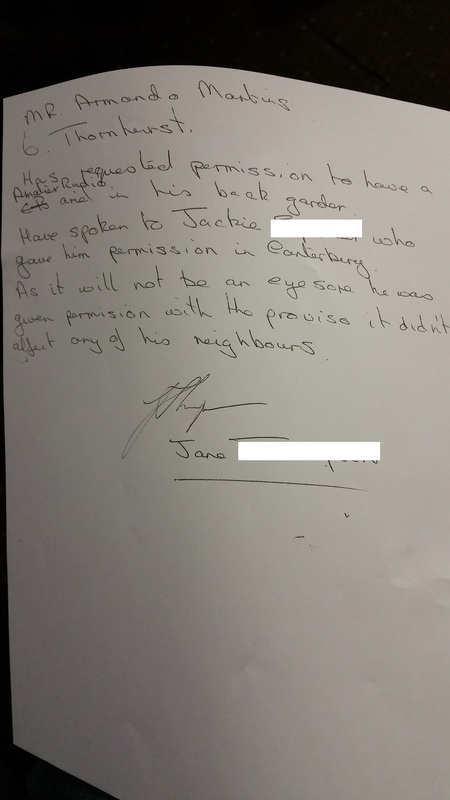 Another neighbour decided she would make sure people were turned against him and subsequently he was ostracised, taunted, had dog excrement on his doorstep and his car was tampered with, while anonymously reported as abandoned (very recently). This woman drummed up false allegations, and gathered support for a vendetta among his neighbours lasting over four years, he was falsely accused of something he did not do to the police, and his hobby became a target for complaints. This eventually led to staff imposing a complete and unlawful ban on his hobby disrupting his links with his community. In analysing Mr Martins story and comparing it with that of others, common ground with the way others in similar circumstances were treated was found. This enabled us to identify a pattern of toxic behaviour used in the attacks, the motivation behind them and its impact on Mr Martins and other by-standers. Especially his local council who debated his requirement for the antenna, did not see or respond to his plea. Rather than see it for what it was they were duped by a number of lies and falsehoods into supporting the perpetrators. We think council policy was breached as it did not recognise the anti social behaviour and deal with it before it came to this stage. We used several case studies and the data supplied in the responses to the petition mentioned below. The reactions of people to his story and the stories of others via social media were also taken into account. We found this necessary because Mr Martins voice was the least heard of all of the characters involved and his assailants had abused the power of two council departments and a TV broadcast to close him down. Pretty extreme measures designed to destroy him and make him go away. The assailants in both studies went to extreme lengths to carry their vendetta forward. In Armando’s case HRH the Duke of Edinburgh was even approached. A letter received from Buckingham Palace used by the assailants as leverage when dealing with the council planners has been seen. All the techniques used by the assailants were consistent with other well documented examples of toxic behaviour – aka bullying. By its nature, bullying and stalking is a range of behaviours designed to be hidden. They reflect any blame for the victims situation toward the victim. (Victim blaming). This put Mr Martins under duress with the ultimate aim of causing him deliberate harm from prolonged stress – All he wanted was to clear his name and get on with his life but this is diverted into worrying about his situation and consequential sleeplessness. The motive for the attacks and the intentions are evident in the assailants comments during the nightmare neighbours next door programme. The story trumped up about the “harmful” effects of the antenna, and questions about its lack of legitimacy, both blown out of all proportion, were used to create a stalking horse behind which to launch severe personal attacks and justify the assailants behaviour. False unsubstantiated claims were made against him to the authorities. The situation was played out using the media in order to spread the destruction to his reputation as far and wide as possible, to cover their actions. (The fact the nightmare neighbours gloat about the impact and the outcomes they want on camera give away the deliberate nature of their behaviour and its intentions). Its clear they did not want him them in their part of the community and there was no way they would cooperate with them or allow either of them to live peacefully there. A further example of the extreme lengths they went to to involve the media can be seen here. This behaviour poisoned their lives and cutting him off from both his immediate community and his friends in the amateur radio community. It split them up and they now have to commute to see each other. Following the showing of Nightmare Neighbours Next Door Series 3 Episode 8 in November 2016, it was decided to act to support Armando. As at 30th January 2017 the vendetta against him was still in flow and hewas under orders to remove any antenna from the property. The stress associated with the behaviour, sustained over several years had an impact on his health – it was clear to see he was distressed by what happened. The actions caused him sleeplessness and various other symptoms consistent with PTSD and depression. We began by consulting the head of community services and this allowed us to organise a meeting for December 2016 with housing and planning. The campaign highlighted what it saw as unabated Anti Social Behaviour, bullying and potential stalking, toward Mr Martins. It discussed the attitude of council workers who should have known better according to housing policy. A review of the options he had been offered by EKH took place, and with Mr Martins it was decided to accelerate moving him into different accommodation. Something he had been waiting for for several years. Here he was assured he would be allowed to operate his radio station unimpeded, and we sought the guarantee of the CEO at East Kent Housing that he would be able to obtain the necessary permission he needed to set up and operate his radio station and antenna as he wished. A second option, involving controlling the anti social behaviour displayed by neighbours at Thornhurst, by invoking the relevant Anti Social Behaviour Policy was put forward, but this was dismissed (EKH). The vendetta was halted on 8th March 2017 when Mr Martins moved to another sheltered accommodation complex. We checked with him again on 26th April and monitored his situation throughout the year. See Addendum below. Why had EKH not invoked its anti social behaviour policy to bring the neighbours into line sooner? Why he had waited for so long to be moved, especially as the nightmare neighbours were causing him stress? The move was first mooted in 2014. What were the considerations undertaken by housing and planning in what was a life changing decision for Mr Martins and how did they exercise their responsibility towards him as a member of the community trying to access another community via a legitimate telecommunications system? Apart from concerns about his health and well-being, as a 76 year old vulnerable man, there were also concerns that his treatment by the community at Thornhurst was designed to have a long term and wide reaching impact. He did not contact channel 5 to arrange the show and the press had already featured him, it appears the motive and the methods used were deliberately designed to make it impossible to achieve his aims and enjoy his property, anywhere he went. Moreover the allegations broadcast now risked adding to a poisonous situation for others in similar circumstances. That the radio mast he used has caused cancer and subsequently the deaths of people around him. None of the reasons above were substantiated. Moreover in the course of examining the situation further by questioning the planning department about its approach, we were able to refute most of the reasons given for refusing planning permission. We also reviewed what regulations were in force at the time and how they were possibly being misused. We found that almost all of the objections above and the main bulk of complaints were penned by one person. The complaint was rubber stamped by the planning department despite its shallow nature, leaving the campaign wondering about the technical and report writing ability of the council workers involved. We think the behaviour displayed by his neighbours is unlawful – under the harassment act it is unlawful to engage in such activity for the purpose of forcing a person to move out of his or her home. (Crown Prosecution Service). One neighbour is clearly seen to be inciting others. We also believe sexism plays a big part in this story as the female population of the complex is quite high and all the assailants were female. A single male in such an environment would be an easy target. Other males with similar aspirations to Mr Martins were treated similarly. Rightly the council website highlights bullying as part of the hate crime range of anti- social behaviour and provides a report form linked to the Police. In our experience, this behaviour wastes council and police time and therefore taxpayers money. Yet the police and others who could have resolved the matter (commonly) showed indifference to reports. See the press. If the police are not investigating the crimes of theft or burglary due to workforce issues, then it follows that a number of other crimes like this are being left to be resolved by the individual. Recently a police force said its practice was to complete a risk assessment before deciding whether or not to investigate crime reports. In our second case study the police have been involved since 1996 and despite video evidence, it took until an assault was commited before they would intervene. The negative health impact associated with deliberate toxic behaviour which causes harm and can be lethal i.e. cancer causing, impacts on mental health and therefore should be stopped immediately. Mental health professionals promote hobbies as therapeutic, and life affecting and the lack of them as a cause of mental illness and physical decline. Therefore Armando should be supported by the council as a member of the community. ACAS now say that bullying like this is harmful to mental and physical health – PTSD results. Prolonged exposure to stress causes brain damage. Loneliness in old people is a real problem. Armando’s hobby keeps him in touch with his community – a world wide network of like minded people numbering in the millions. The campaign thinks the action of his neighbours deliberately isolates him and therefore his right to a hobby should be re-instated. Armando is himself a vulnerable person and we think an Adult Protection Order should be in force although Kent County Council were happy to leave a resolution to this campaign. His neighbours should be made aware of policy in respect of bullying others. We don’t think the technical issues raised are sufficient to override the health benefits and therefore the policy of the community he lives in should actively support all residents to enjoy their time there, and their chosen hobbies and telecommunications. During the campaign, several other radio hams came to light as having attracted similar behaviour from their neighbours. Armando’s Campaign supports them and in the long term wants to see this type of behaviour outlawed and eliminated nationally. Age UK and Men in Sheds is a charity running a campaign focusing on the elderly and loneliness. We think the lack of support for Armando and his hobby from his housing managers and planning department is counter to the aims of society. We believe it is the city council’s duty to promote health and well-being in communities, and hand in hand with the other services, such as police, health organisations and council services. We think staff at the complex could and should have prevented the situation by taking a closer view of the options it had. We think when Armando complained to the CEO of the city council his complaints should have been heard. The interest of the assailants were put above his, despite the fact the complaint was malicious and vengeful. Like other radio amateurs, Armando is a member of several communities, and has the same rights as any other member of those communities. EKH actual policy is to live and let live within those communities. We concluded there are gaps between how the anti social behaviour should have been handled by its staff and how it was actually dealt with. The staff didn’t know any better and were drawn into the situation to support the assailants. According to the licence he has, Mr Martins has access to amateur radio which is a type of telecommunications service. There are provisions for him according to the town and country planning act and various others, with the right that gives him to choose how he uses services. He is licensed for this and to some extent how he accesses them is his choice, either by constructing permitted developments or through the planning process if it is necessary to gain height above certain limits for example. We initially concluded that both the planning department and EKH were operating in a way that was detrimental to Mr Martins health. We subsequently found the actions taken contrary to a number of policies not least those designed to build inclusive communities and foster health and well being. Planning laws changed in 2012 with the publication of the National Planning Policy Framework from the secretary for state for planning. This superseded a number of planning guidelines which supplemented the Town and Country Planning Act. Up until 2012 this included PPG8 – Telecommunications which also had provisions for amateur radio operators. Subsequent to being told to take the antenna down and apply for planning permission he was refused this point blank. We think he was set up to fail. See conclusions below for additional information in respect of the planning process. He could still be set up to fail in his new ventures despite the assurances of the CEO at East Kent Housing an incident shortly after moving in was thought to be evidence that housing staff were on alert for changes to the property. We worked with Mr Martins prior to that to establish a policy going forward that any changes he makes would be strictly “by the book”. There was a moment of stress before the workers involved apologised. As Mr Martins has now moved house, at this point it is academical to go over old ground. All that is needed is to move on. As he does, the technical case will be picked up by the Radio Society of Great Britain (RSGB) who will support him in his planning applications. The RSGB would agree, out of eighty five thousand or more Radio Amateurs who use the service in the UK: Several thousand have similar structures to Armando in their gardens – supported by the planning process. The majority will have some kind of permitted developments. This brings into question why should Mr Martins be any different to them? The RSGB helps its members through the planning process. Its important to say they are the experts and provide an excellent service. The RSGB produces Planning Guidelines for Radio Amateurs which it says are under revision. We checked with the aims of planning policy and found discrepancies between how it was being applied that re-enforces the view about whether it was being operated safely when it came to blocking Mr Martins planning application and refusing his appeal. There was a lack of input from community safety and health and well-being services. While all the policies we reviewed make it essential to consult with neighbours in the planning process, the fact is from the point you do, no matter what it is you want to achieve, it risks being blocked by anyone with a toxic mindset. If the council officials don’t recognise this, then it will become progressively more difficult to achieve anything. When that happens there is the potential for stress. Stress is the tool of choice for trolls. Trolls are people who enjoy destroying other peoples lives. The response to the Armando Martins Campaign saw several people come forward to tell us they had had similar treatment either by their community or by planning departments. We compared Armando’s case with another of equal or greater severity, where a neighbour has waged a similar campaign of abuse hoping to draw in the council and police to assist him in ruining the life of his neighbour through a long running vendetta. We question whether the agencies involved were supportive of people in Mr Martins’ situation. Unfortunately we found that the authorities know very little about anti social behaviour and will not usually expend resources to deal with it. To counter this in future, a set of frequently asked questions to support those people involved in the process of planning, or who are treated to unsubstantiated complaints by their neighbours was produced – see appendices below. (Despite there being evidence that this is one of a number of historical forms of abuse suffered by radio hams, the RSGB has no such advice to offer – being positively focused on the benefits of the hobby). Also we studied to process with a view to ensuring a simple picture is available for would be service users, and to support future change. In the Thornhurst attack, the neighbours were able to destroy Mr Martins hobby simply by escalating their unfounded complaints through housing, and then planning, and then to justify it and glorify their actions via Channel 5. By contrast, in the second case study, the planning department took time to check whether there was a dispute in progress and took no action against the target. In both cases a “dispute” was started in 1993 with many trumped up incidents of complaints and actions aimed to draw others in. In the second case leeway was exercised in not enforcing any action, while the assailant was handled “diplomatically” and this was embedded in policy. We also found via the petition another radio amateur situated in similar accommodation to Armando using an antenna requiring four times as much space as the refused antenna mast. This questions the consistency of what is allowable and what not, through different housing departments. 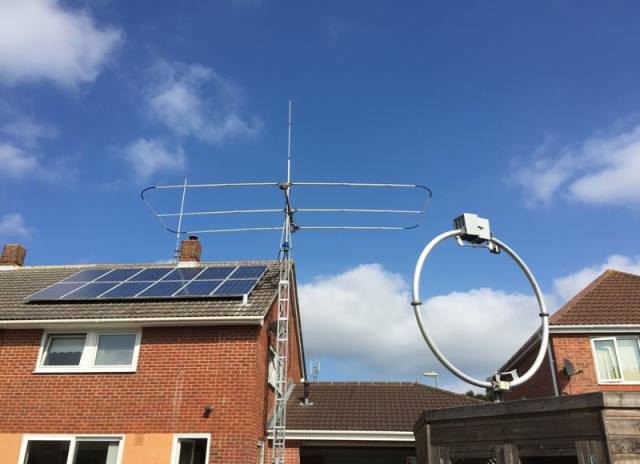 The photographs above are of amateur radio masts deployed in the back yards of UK communities and of the type which Mr Martins was ordered to remove. We therefore question why Mr Martins was treated differently and will it happen again? Approx 190 radio amateurs live in the Canterbury City Council area. Visual Amenity Report Version 2.291117 is a small sample of amateur radio antenna found within a few miles of his new property in Thanington. We think therefore it is easy to conclude there has been a certain amount of discrimination in his first planning application and the appeal. On a point of visible amenity, the antenna below has been allowed, which is remarkably similar to the one that was banned – located in a much more open space, surrounded by expensive properties and highly visible from nearby houses – within a mile of the address in question. Our original report expressed surprise when the council banned a similar antenna, virtually hidden by trees and overlooked by one complaining neighbour with a grudge against Armando etc. (ed). A few days after Mr Martins moved into his new accommodation, he was visited separately by two faceless housing officers who didn’t stop to talk to him. They reviewed the existing TV antenna on the property and told him tersely to get it down in an email. As this was contrary to the assurances of the CEO of EKH, we alerted her to the issue, and an apology was issued. The stress it caused was evident and we connected the incident to the adverse publicity he had acquired. Fortunately photography showed the TV antenna had been up some considerable time, and had the people involved bothered to look, each of the four houses in the terrace has a similar set up. This highlights an ignorance of the basic requirements and rights of people to use basic (telecommunications and other) services in the community for the purpose of enjoying their property, amongst council employees. We helped Mr Martins who has language difficulties to formulate and communicate plans for his new premises. These became subject to scrutiny. He was issued with guidelines for modifications to the property by his landlord on 24th February and is subject to a process outside of planning. A type of rolling bureaucracy has been employed which sets out some arbitrary rules, when Mr Martins applied for permission, rather than grant permission instead the rules were varied by email. 2 months after moving in he still does not have the permission he needs from the landlord to put up what are to planning, permitted developments. Simple wire antenna. Instead there have been some bizarre modifications to his plan, i.e, he applied to strengthen the TV antenna pole, and was refused permission to lengthen it. He has therefore had to put up another pole to support his wire antenna. This attracts more scrutiny etc. A few months later in July\August 2017 he received the further attention of the same housing personnel who ordered him bluntly to take down his new antenna. When he asked why, there was no response and again he was forced into a dialog with the CEO’s representative. We concluded the blanket ban was the cause of this and it was unlawful. Secondary to it was the housing staff had no idea themselves why they were complaining, nor did they come back with any facts. They just wanted it down. We wrote in April that In a meeting with Mr Martins on 25th April we reviewed his situation. He feels a sense of relief to be somewhere where he can take up his place in the community. There is a positive air about him, as despite an injury sustained in the move he settles in and contemplates his options for the future operation of his radio station. He is still aggrieved because his life has been blighted by the unwanted attention. 7 months later East Kent Housing continued to enforce the blanket ban making life difficult. The campaign took steps to educate council workers into why their ban was unlawful. There is no guarantee the wont keep coming back. He will have to keep challenging this behaviour. He remains subject to the prejudices of council workers and officials. Despite this paragraph in the letter that imposed the ban council workers are reluctant to grant permission to put up his original antenna and his planning application is in doubt. For others, and nationally, at stake are over one hundred years of heritage, where commencing with Marconi at the turn of the 20th Century – radio amateurs have tested and developed modern communications from within communities – across the globe. The fear is that the hobby would eventually be blocked out, if the type of action taken against Mr Martins and supported by the council and others were repeated. There are some simple measures that could ease the situation and these have been sent to RSGB for their analysis. Frequently Asked Questions about amateur radio stations for communities. Case Study 2 – Long Term Exposure to persistent unwanted behaviour. Hi just reading this and viewing the story. I’m wondering is Mr Martin’s ok and still doing the hobby. WHY HVE THE PEOPLE INVOLVED IN THIS ABUSE OF AUTHORITY NOT BEEN PROSECUTED ? They have clearly oversteped the mark and are unfit to carry on with there employment, having been proved to have ignored the law. We don’t think its appropriate to sit on your hands and do nothing either. As Armando has stood up for himself and gone to the courts for a resolution, we will be launching a fund raising campaign imminently to help him to challenge it after hearing from many of 43,000 supporters and others via social media, some with the same experience. Enough is enough – we agree. I have appealed and await their decision. The RSGB imo is toothless and should open up to its members about their lack of clout with anyone and close down. Sorry to hear about your experience with planning and Canterbury City Council (CCC). It appears from reading the planning portal guidance and what you say, that some of the developments you propose, you had the right to choose whether planning was needed or not – but chose to apply for planning permission. Unfortunately CCC seem to have written your statutory rights under planning law, out of their Local Plan (Policy DB3). We think this is probably due to lack of consultation with communities which the council was directed to carry out. In our opinion your local radio club missed the opportunity to respond to the consultation (not their fault). To make matters worse, the “Local” plan is managed centrally for Canterbury and therefore not really local at all. There is time to correct this lack of consultation and IMHO your (amateur radio and local) communities should both be seeking representation. To make matters worse, the Local Government Ombudsman is reporting that due to losses of staff in the current political climate (Austerity), he is seeing more complaints where the remaining staff find it difficult to act in an ethical and legal way to service legitimate requests from people. Instead, people are palmed off, (possibly to avoid the work of researching a fair and proper decision). We witnessed this in action and reported to the ombudsman. He says that councils are losing their corporate memory. One of the things we noticed was the use of cut and paste between reports, where the same comments appear throughout many reports, but don’t seem to be backed up by any evidence. It gets worse. In July 2018 the National Planning Policy Framework (NPPF) was revised. We believe this revision re-introduced Planning Policy Guidance Number 8 which sets out very clearly what amateur radio is and what planning authorities and radio enthusiasts can expect. We can find no guidance at the planning portal that supports amateur radio antennae. Canterbury, benefits from a document called The Kent Planning Guide produced by KCC, (KCC PG). This guide details how planning officers must process applications, and the NPPF is basically, very much about your needs for your property, health and well-being. The KCC PG states a process of consultation between the applicant and the planning authority aimed to facilitate the needs of the applicant. Unfortunately all of this seems to have washed over CCC who have developed a fast track process to closing down applications from licensed radio amateurs by pushing them (literally Kicking and Screaming) in the direction of the planning appeals process. When the planning inspectorate responds, their report is final. The next step of the process is to appeal to the high court. (Nobody wants to go there). Because of another case in Canterbury we think the inspectorate will simply say the same as the planning authority (cut and paste) and possibly advise you to rethink your plan, but nobody can predict what will happen. We think the RSGB gives good advice and published an article and fresh guidance in 2018. See our FAQ for a link. We think the situation in your area is both a risk to you, and a risk to the heritage of our community of licensed radio amateurs. This is because We chose amateur radio for our own health and well-being because it motivates us to take up activities, and this is vital in later years. What we see is motivated people struggling, against radio noise and poorly performing antennas, as their reasonable goals are blocked. The risk to amateur radio is that less people will want to take it up and some may be disappointed enough to close down and sell up. This makes it everyone’s business in our community and therefore I have registered your case with support at (@) radioheritage.uk, where we are starting to track issues that affect us, which may or may not be seen by the RSGB as a threat, but nonetheless concern us. We recently took this up with both the Ombudsman and your MP, who is very much aware of the issues and there would be no harm in you contacting them. In the mean time Armando Martins, who struggled very badly with this is in court this week and if you can see your way to a donation, then see here. Finally We won’t comment on politics but in Thanington, in any local election, it would help if you check out the candidates attitude toward Austerity, your use of your property, your hobby and the rights of minorities before voting, bearing in mind local councilors also sit on the planning committee. Hi Stuart, Thanks for the detailed reply. I guess we are going to see very starge things coming from councils in time to come as the battle to maintain their standards against the onslaught. As we discussed they have probably never beed to the RSGB to enquire whats it all about and why we need antennas and so on. Its my opinion that the RGB should come clean as a whistle to its members as the the current state of affairs and urge its membership to contact their MP’S and press them to bring the topic up in parliament question time. The RSGB could then list all the MP’S who have been contacted and the relies next to their names. I was asked by Len to apply for becoming a board member, but would be hired and fired the very same day. I think the RSGB should and must shoulder some of the blame, for not pushing the matter forward and not informing its members thoroughly as to whats happening. Its good that this get out for all to see. Another approach could be via our patron, but that will probably be fobbed off onto his aides, but every little helps, especially if they write to the house of commons for a reply.